Every one of us possibly is living with a dream, when we wish we could change something around us or about us! Some people although get a chance to change and some apparently don’t. Being in the healthcare industry at times, we come across many people with multiple disastrous problems and we wish we could change something about them, atleast how we would be able to minimize their pain; cerebral palsy can be ranked on top of the list. On our journey to find a cure for cerebral palsy, our team has come across many requests asking us to elaborate anything and everything about cerebral palsy. In this regard, the current write up is intended to increase the understanding and provide a brief idea about the people, who have been suffering with the disease. The disease is a non progressive neurodegenerative disorder that accounts for major neuronal loss; due to some unfavorable conditions during pregnancy or at the time of delivery. The disease has currently no straightforward cure by the medical science; on the contrary, scientists are still trying to figure out some of the key parameters, which can directly alter the condition. Almost every one of us likes to be pampered, especially kids feel great, if they are pampered and looked after; even palsy kids are not exceptions to this fact. You might have to bear their unnecessary frustrations, their mood swings, their physical stiffness and/or spasm as well; but your patience and humor have the power to get hold of the situation any point of time. Don’t be annoyed, try to be calm and loving; your understanding can turn their life much simpler. Many times, it has been observed that palsy people are frustrated because of their dependence. Their primary aim to make their life more independent and you can probably help them to do so! Since you know their requirements better, try to keep things they need frequently, close to them; so that they don’t have to ask for the help every now and then. If possible, try and upgrade with automated wheel chairs, or some other trendy devices, which can definitely boost their self confidence and mood by making them independent. Some people unnecessarily equate cerebral palsy with constant pain and body aches, although it’s not always that way. Palsy people can as well live near to normal life, if not completely normal! But they will be obviously annoyed and frustrated, if you keep on reminding them about their disabilities and agony. It is most of the times, obviously in your hand to act normal, by not taking anything personally. Off course, they know their limitations, some things they can do normally; whereas some they cannot. 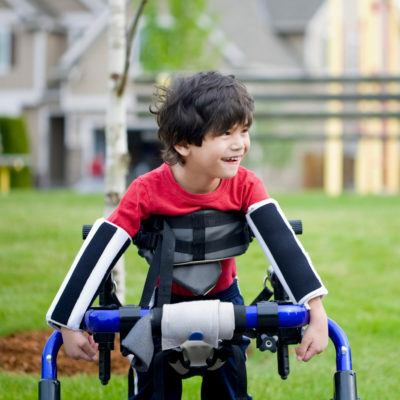 The science has tried to raise a hope of cure for cerebral palsy through stem cells treatment. Stem cells are the naïve cells of our body, with the ability to differentiate into variety of cells, neurons as well. Hence, it has been observed that stem cells, when treated ex vivo and infused back in the patient’s body can regenerate lost neurons and restore back the function to some extent. Many people with cerebral palsy have been observed to be effectively treated with their own stem cells and are leaving better life!